Withings Activité is an analog watch with sensors and an accelerometer. 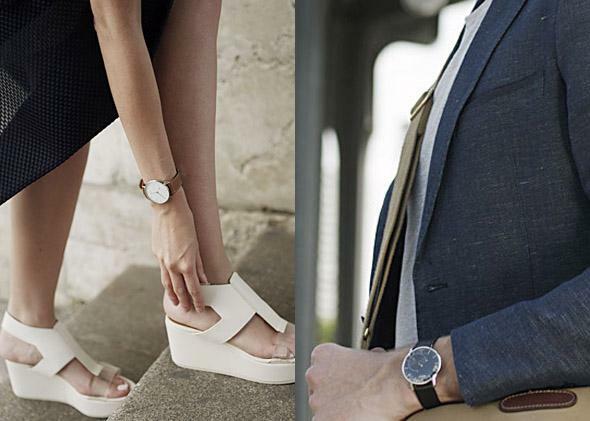 A watch that’s trying to hide its smarts. There seem to be two paths for wearables lately. They can either try to have and do everything, packing features into a small space, or they can be minimalist and only do one or two things, but hopefully do them well. It’s really hard to make multi-use wearables attractive. Some groups have even been experimenting with subtly smart-ifying our dumb, but stylish, adornments. But it seems like people just want wearables with fashionable looks. 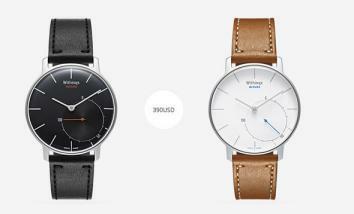 Withings, the health electronics company, is trying to step up with its new Activité watch. The analog timepiece is meant to have a luxurious look and feel, while also offering built-in sensors like an accelerometer to measure how many steps you’ve taken, how well you’re sleeping, and how generally active you are. The watch has Bluetooth connectivity to sync with other devices, but is still slim. And importantly, the New York Times reports that the clean white face of the Activité is small enough to be genuinely unisex. Other than a small dial on the face of the watch that goes from 0 to 100 and indicates progress toward a preset step goal, the Activité looks like a normal watch with a leather band. It’s a big step on the aesthetic side, but are a few fitness trackers really worth the $390 pricetag when wearbles with similar functions like the Jawbone and FitBit cost $150 or less? It still doesn’t seem like anyone has really hit the balance of form and function with wearables.